It might be time for savvy tech investors to start thinking outside the FAANG box. Matt McCall, founder and president of Penn Financial Group, says Facebook (FB), Amazon (AMZN), Apple (AAPL), Netflix (NFLX) and Google (GOOG) are all good bets for the long-term. But recently, the celebrated stocks have gotten hammered. McCall thinks investors may have a good opportunity to buy up some shares if the pull back in the next week or two. McCall also pointed to three stocks he’s favoring in particular: Teladoc (TDOC), which lets patients video-chat with doctors, Intellia Therapeutics (NTLA), a gene-editing company, and Sensata Technologies (ST), which make sensors used in smart devices. And McCall is betting on bitcoin — even as the cryptocurrency keeps falling. “You have to be a certain type of investor to be able to stomach [the wild swings],” he said. In late December, bitcoin hit an all-time high of just under $ 20,000. Today, it’s hovering around $ 6,500. 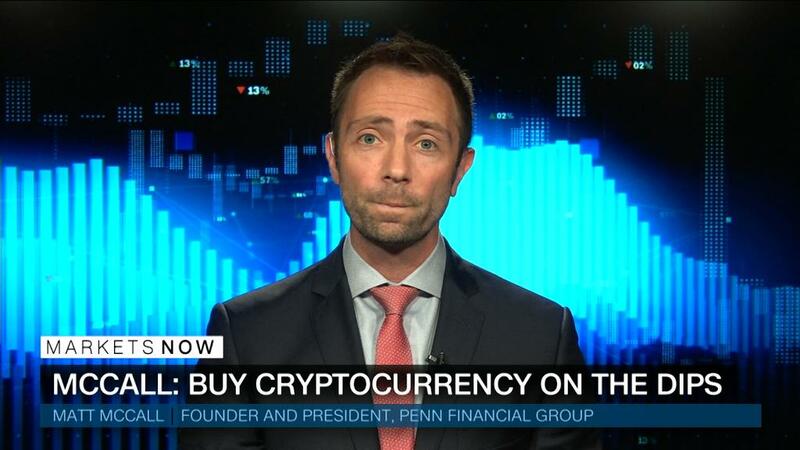 “If you’re considering cryptocurrencies or if you’ve been in them before, I think this is a great opportunity,” McCall said. 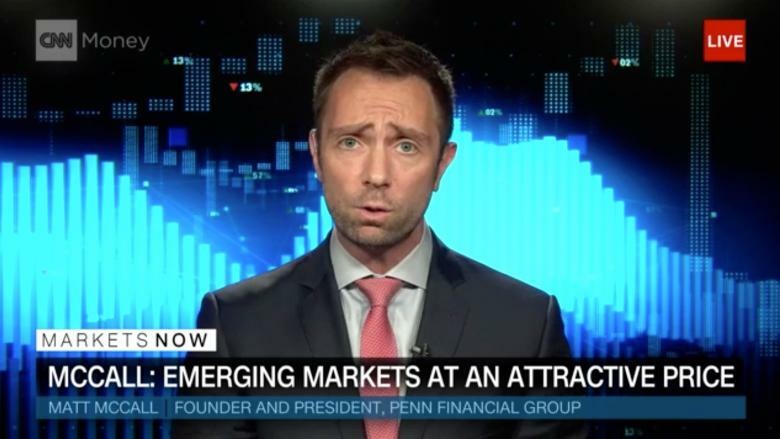 Watch CNNMoney’s “Markets Now” every Wednesday at 12:45 p.m. ET. He added that cryptocurrency’s critics remind him of people who dismissed the internet as just a way to access email. McCall also has his eye on another controversial stock, electric-car maker Tesla. CEO Elon Musk shocked Wall Street last week when he announced on Twitter that he was considering taking the company private at $ 420 a share. He said he had “funding secured” for a deal, but didn’t say where the money would come from. On Monday, he said the financing referred to talks he has had with Saudi Arabia’s sovereign wealth fund. Then on Tuesday, the Tesla board said it wasn’t clear yet that going private made sense. McCall thinks there’s about a 95% chance that Musk will make good on his promise. CNNMoney’s “Markets Now” streams live from the New York Stock Exchange every Wednesday at 12:45 p.m. ET. Hosted by CNNMoney editor-at-large Richard Quest and others, the 15-minute program features incisive commentary from experts.